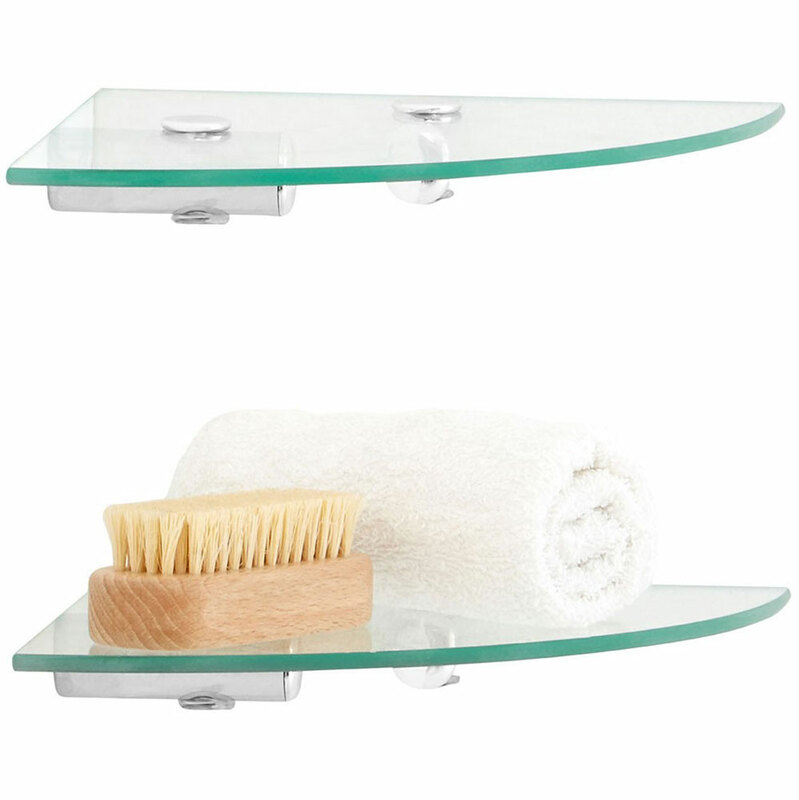 These set of two shelves are suitable for storing and displaying brushes, flannels and other small bathroom products and indeed could be used all around the home. 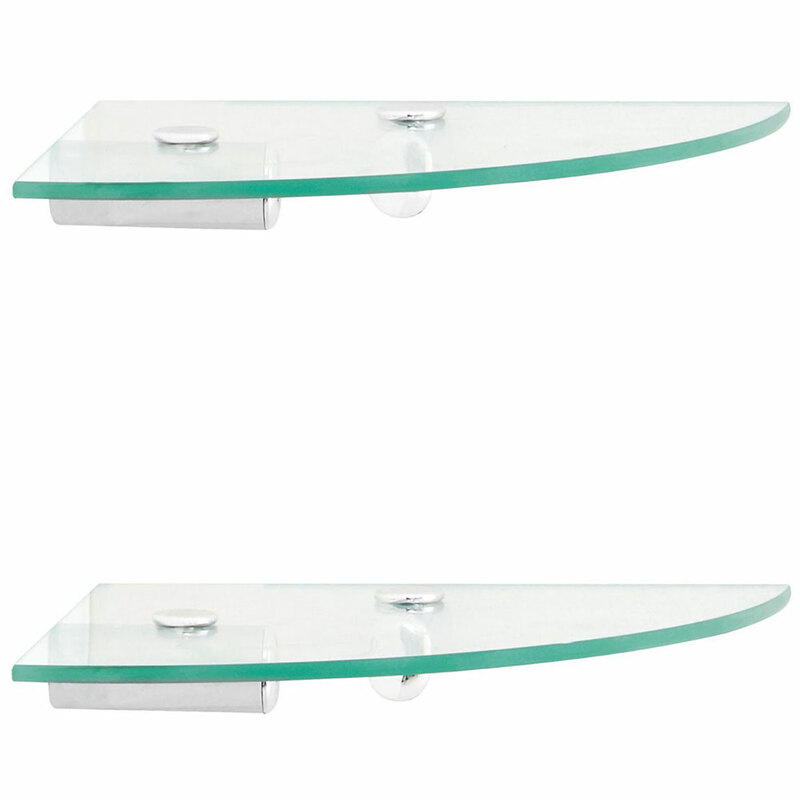 Made from safe, scratch-resistant tempered glass with the tubular metal supports which allow them to be fixed securely to the wall. 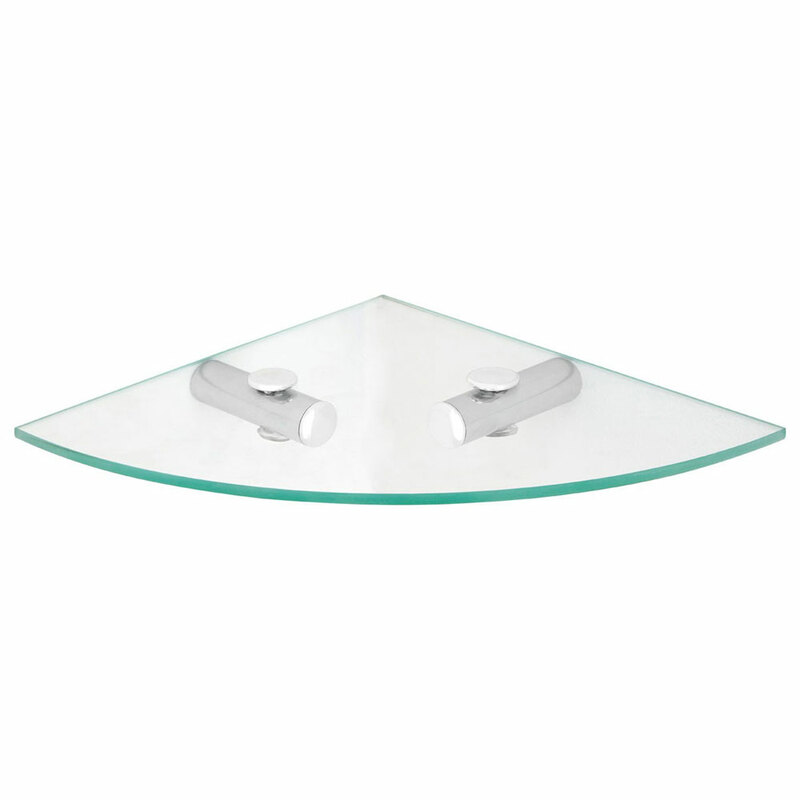 The clear glass and corner design make them discreet additions to your home.